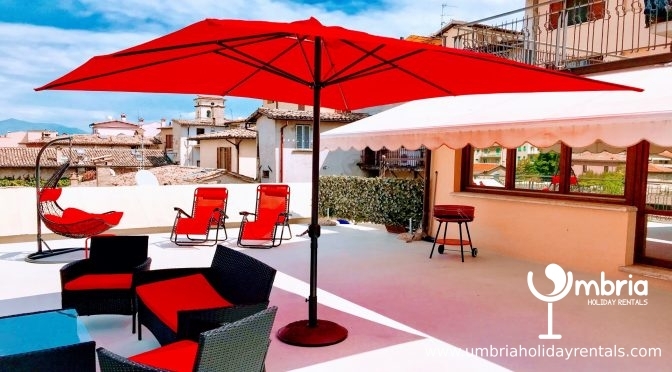 Please note that if you book one of our apartments in central Spoleto and do not wish to hire a car, then, providing you phone Laurie, my husband, on his mobile about an hour or so before your arrival ((0039) 349 739 3501), or, as you arrive in Spoleto, there is every chance that he can pick you up from Spoleto train station and take you directly to your apartment. Also, on the day of your departure, there is every chance he can deliver you back to Spoleto train station. We cannot guarantee this free taxi service but, we will do everything in our power to provide it. I only say that there is every chance that Laurie can pick you up and drop you off at the station, in order to cover all eventualities eg flat tyre, sickness etc. So far, nothing has ever prevented Laurie performing this service and we hope it never will ! 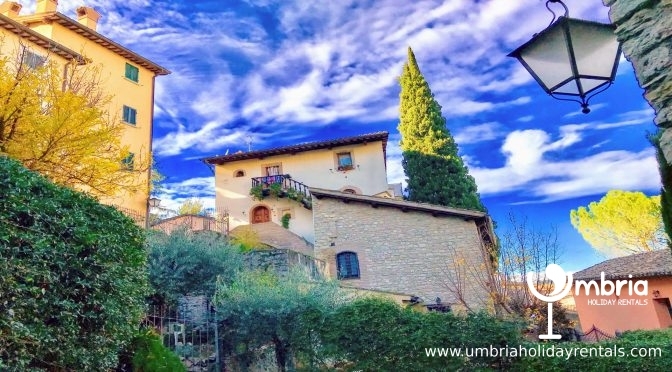 However, if you are staying at Porcupine Cottages, Mount Olive Cottage, Rubbiano House, La Romantica, La Passionata, L’Arco, Il Castello, Posta Del Sole, Villa Marianna or Vista Del Mondo, then, a car is essential. 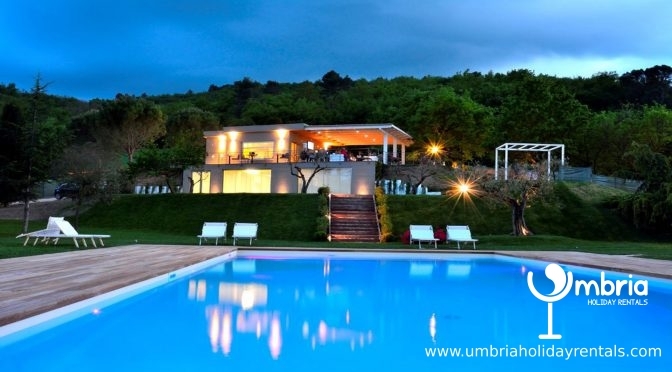 If you are staying at Spoleto By The Pool, then, we highly recommend a car but it isn’t essential. However, you should be the fit type and used to walking, if you are intent on not having a car. 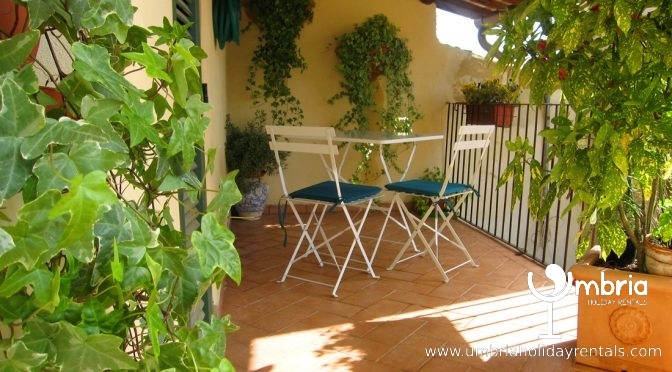 The closest piazza to Spoleto train station is Piazza Garibaldi, about 8 minutes walk away. This famously historic piazza is inside the walls (ie the historical centre of Spoleto). 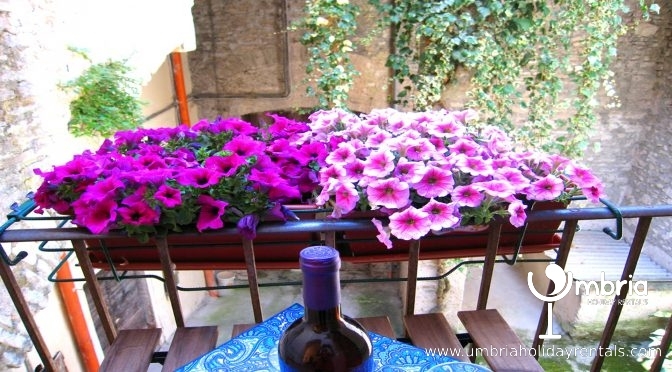 And, it is at the beginning of the famous passegiata and the main drag of shops, restaurants and bars. 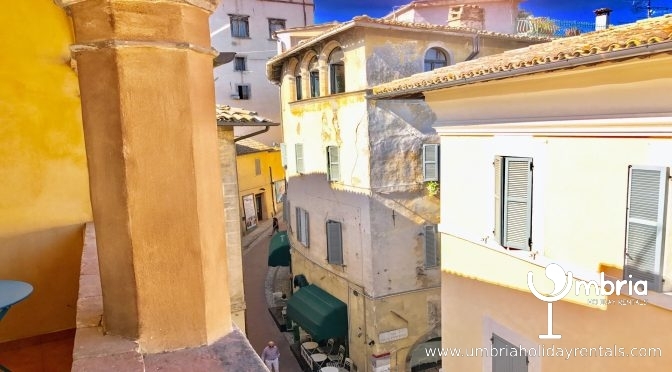 We have many apartments that are as close to Spoleto train station as you can get, while still remaining within the historic centre of Spoleto. machine a sous en ligneTerrazza Bella, Bella Due, Terrazza Verde, Terrazza Splendida, Terrazza Tetto and Vista Rocca are just another 3 minutes along Corso Garibaldi from Piazza Garibaldi and, about 10 mins walk to the station, depending on how fast you walk (for me, 5 mins)! However, there are local busses that stop next to Piazza Garibaldi, which go to the station if you don’t fancy the walk. 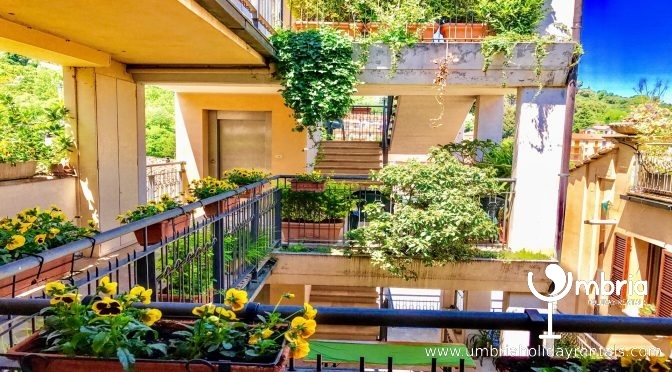 Our other apartments in central Spoleto are Il Parco and Penthouse On The Park, which are both at the other side of the park, just minutes by foot from Piazza Liberta, in the heart of Spoleto and, about 25 mins walk to the station. If you don’t fancy the walk, there are local busses that stop close to each of these apartments, which go directly to the station. 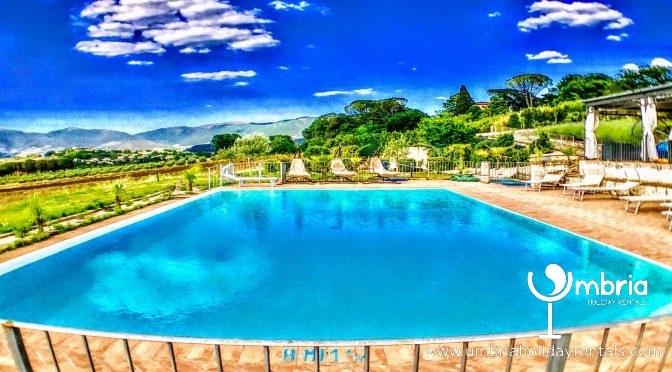 And, then, there is Spoleto By The Pool, one of our 3 pool properties, which is on a hill, just outside the walls of the historic centre of Spoleto. 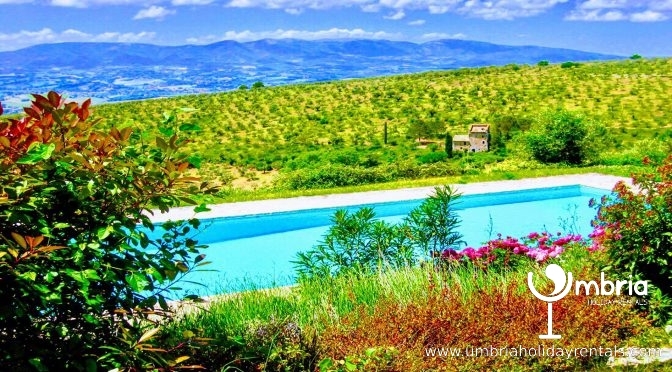 Spoleto By The Pool is 10 mins walk to the station and 10 mins walk to the historic centre of Spoleto. However, if you are intent on doing without a car, not only should you be able to acquaint your self with the train/bus timetables etc and, this often means being able to look this information up on the internet (www.trenitalia.it and click on English), you should also be self-reliant. You can hire a car for the odd day from Sixt or Hertz, both of which are very close to the station. 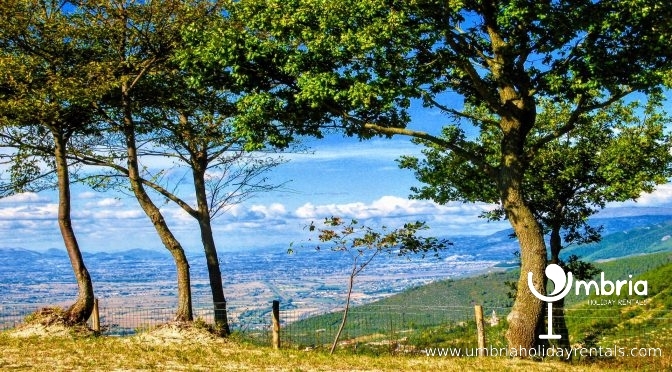 And, the good thing is that you can get to practically anywhere in Italy from Spoleto train station ! 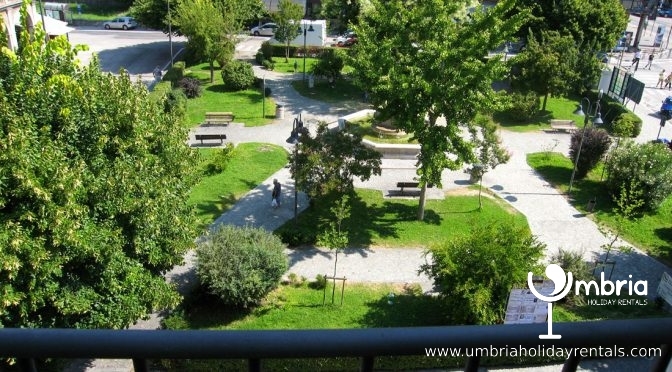 Also, close to all the apartments is a bus that takes you directly to a very large public swimming pool with picnic areas and a bar. The bus-ride is about 10-20 minutes depending on where you catch it. 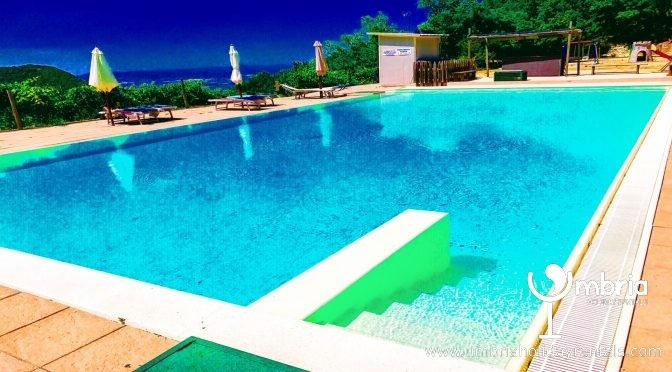 But, I would highly recommend our large FREE private pool at our Villa Marianna.